Based in the global technology hub of Cambridge, CPL understands the demands facing innovators in technology. 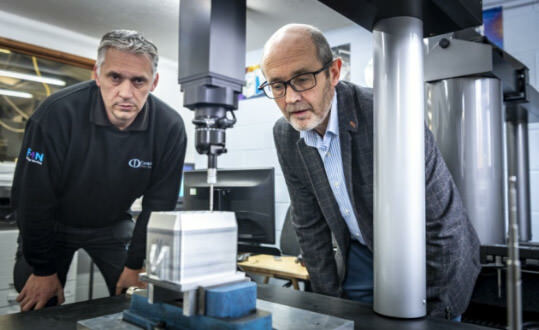 Through their partnerships with the world’s leading technical and medical innovators, Cambridge Precision Ltd is acutely aware of how the application of technology is shaping the world. The role that CPL plays in transforming design into mission-critical products has earned the company a reputation for outstanding skill, quality, reliability and innovation. When invited to sponsor the awards which celebrate innovation in science and technology, the directors had no hesitation in agreeing. Cambridge Precision manufactures highest quality precision machined components and undertakes specialist electro-mechanical assembly projects for global leaders in the technical, medical, scientific and energy sectors.